Most leaks are invisible, usually occurring behind the walls or under your home. When a leak is visible, it’s most likely because you’re looking at the damage caused by it (or because you’re seeing a huge spike in your water bill). Some leaks are more destructive than others just based on where they form. If a leak appears underneath the slab foundation of your home, it’s known as a slab leak. These leaks can wreak havoc across your home by creating cracks in the walls, warping or cracking the floor, and creating puddles of water in your home. Leaks in the main water line can halt your entire way of life, forcing you to shut off the vital flow of water to your home. · Hair: Long and short hair alike will contribute to a clogged drain. Oils from our bodies and soaps can get stuck in the drain; adding hair on top just adds to the mess. Once these hairs are trapped, they create a surface capable of catching even more deposits. · Fats, oils, and grease: Of course, these three things are commonly found in our food, so it’s no surprise that they also end up stuck down our drain. Cooking oils, butter, fats from cooked meats, even mayonnaise and salad dressings, can all contribute to a clogged kitchen sink. · Roots: Tree roots naturally seek water, and your sewer pipes are just the place they’ll find it. If there’s even a tiny crack or loose joint in your underground pipes, tree roots can find a way to get there. They’ll continue to grow until they block the pipe itself. Repiping is when you completely replace a section of old pipes. In some cases, the entire home needs to be repiped due to old age. 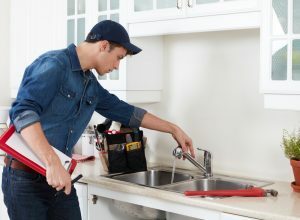 Whole-house repiping is no easy matter, so it’s important that your plumber is able to do the job quickly and without too much interference in your daily life. The need for repiping usually comes around as a result of corrosion. If your home runs hard water, it’s likely that minerals have built up inside the pipes and are beginning to take their toll. Corrosion will lead to leaks and, if severe enough, could force you to replace entire sections of pipe. Old pipes might be made of materials that are more susceptible to corrosion. Worse, they could be made of materials like galvanized steel, which are no longer being used in plumbing due to their lead content. Don’t hesitate to get in touch if you have a plumbing problem. After all, we treat our customers like family. Contact Husted Plumbing today!